48/60 Les Winan Filled with Bay-cliches and hilariously cheesy moments. Thank god for the stellar cast. 70/85 Kim Hollis It's not as terrible as its box office might have you believe, but it's not great either. 83/166 David Mumpower The first 45 minutes of the film is visceral and imaginitive. The rest of it is standard Michael Bay crap. If you know, you're one step ahead of the media at this point, and that's probably how Michael Bay likes it. Mr. Over-editing has chosen this as his next directorial project. It's the casting of the lead actor that is the real shocker, though. 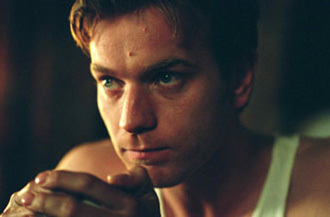 Mercurial thespian Ewan McGregor has signed on to star in the film. The actor who generally sticks to indie films (note: George Lucas is technically an indie director) is stepping into the realm of tentpole releases for a change. See the latest developments for this project on the The Island Movie News page.